Ever since the smartphone era began, companies have looked for ways to quickly get information from the offline product world onto the phone. Barcode scanning is a popular approach while QR codes and proprietary tags, such as those from Microsoft(s msft), are other less-used solutions. These all require cameras and specifically printed codes; what if we could just use what looks like a standard ink solution and the touchscreen on our phones? I think Touchcode is ingenious because it directly bridges the physical and digital worlds with a medium that’s been used for thousands of years: Ink. The products looks no different than any printed medium today. And they gain the extra characteristic of working with a capacitive touch screen. Imagine tapping a printed card in Starbucks(s sbux) to your handset for a direct download of the tune currently playing. Maybe a printed concert ticket can open up a web page with the artist’s bio or an advance listen to an upcoming but unpublished song. Or instead of manually logging your food with a barcode, the food packaging itself contains a link to the nutritional values and can log the entry for you while also providing relevant recipes. The idea behind these interactive codes has really never been the problem in adoption. Instead, the implementations haven’t been quite as universal as they need to be. Near-field communications, or NFC, tags could help, but they require both the tag and a phone with an NFC reader. Barcodes are probably the next best thing up until now, but are an electronic-only solution; unless you’ve learned to “read” a barcode yourself, they add little value alone. 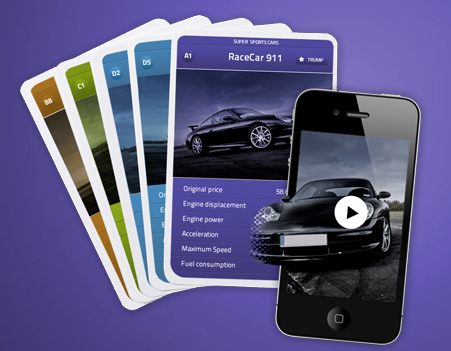 Printed materials with Touchcode technology offer two solutions, however. The printed information itself is understandable by anyone who can read while extra information or links to other data works with a touch-capable smartphone. I’d call that a win all around if Touchcode can get clients to start using its codes during the print process. A better solution would be a QR code linked to the HiFi system in Starbucks — if Apple was a partner maybe they would use iTunes as a player show a QR code of the iTunes store link on an LCD display and you can point your phone camera at it… that’s elegant! What! Bridge something that’s thousands of years old but rely upon contact and the new technology of a Touch Screen. More ingenious is using ordinary ink and an ordinary camera! Intresting… I wonder if the surface comes too close to an electrical or magnetic source does it scramble, much like a putting your hotel key card in the same pocket as your cell phone. Plus, how does a user know that the image has this embedded technology. QR Codes are getting closer to universal adoption — still somewhat clunky, but they are coming along. I regularly see people of all ages scanning and discussing. The biggest problem for QR Codes is the crummy landing pages / user experience they too often lead to. Come on marketers, get your act together here! Gina, Blaming clunky landing pages on QR codes would be like blaming the internet for Geocities…. Its not a fault of the technology…. when was the last time someone showed you “how to use” a door you hadn’t seen used before? that’s right you don’t, you see a door knob and you know what the UX will be. The issue with image recognition is unless you can guarantee every print/object/surface in the world is linked to your database when people pull out their scanner and it doesn’t work a few times they are going to feel like idiots. People understand the “practice” of using QR codes, pull out phone/scan/get result – same as door knobs. But QR Codes are very diverse, easy to use and free. “These all require cameras”…. I guess any smartphone with touchscreen has a camaray right? I don’t want anything rubbing against my phone screen if I can help it. It can smudge, scrape or scratch and i don’t see people putting their expensive phones screens on some public surface that could damage it. Hmm, isn’t this solution much better? Either a visible code, or just visual recognition seem to be useful. Invisible codes seem to be the worst of both worlds quite frankly. but you still need to have downloaded and fire up the proprietary app, no?